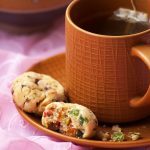 Christmas Fruitcake Cookies – Rich, fruity, nutty and delicious eggless cookies for Christmas! 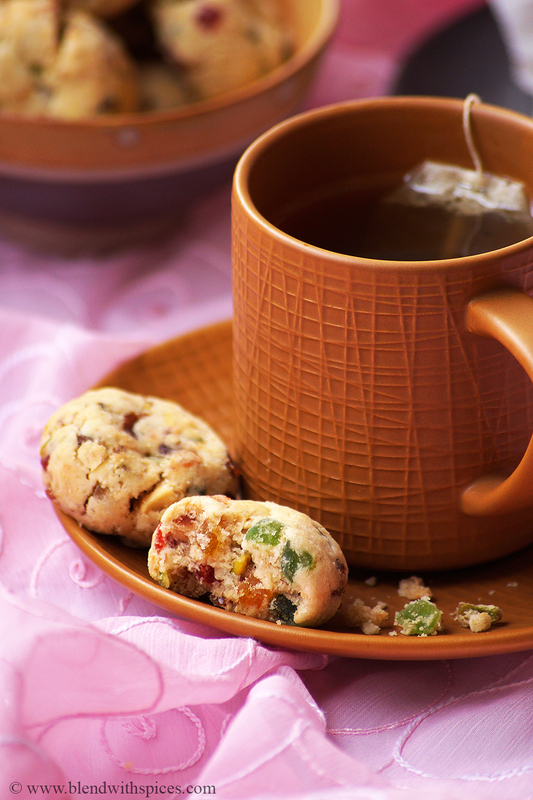 These Christmas Fruitcake Cookies are rich, delicious and perfect for the holiday season. 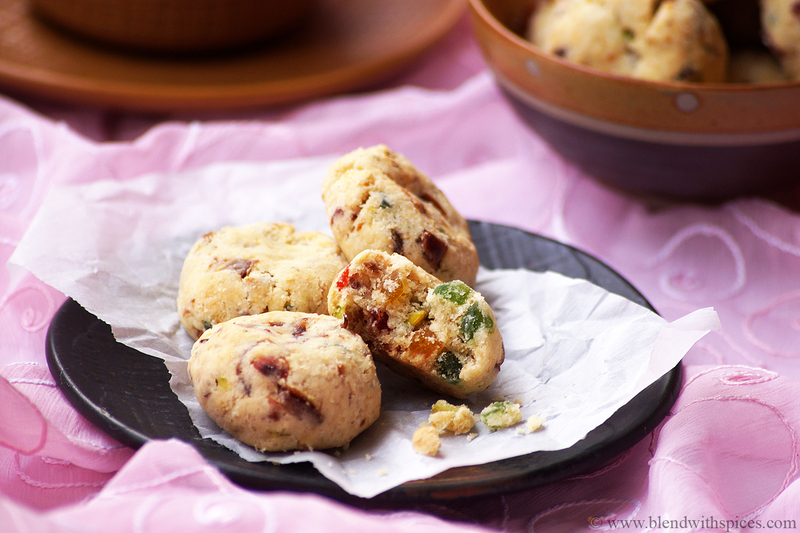 I have used almonds, cashews and pistachios to make these cookies. You can use any of your favorite nuts. 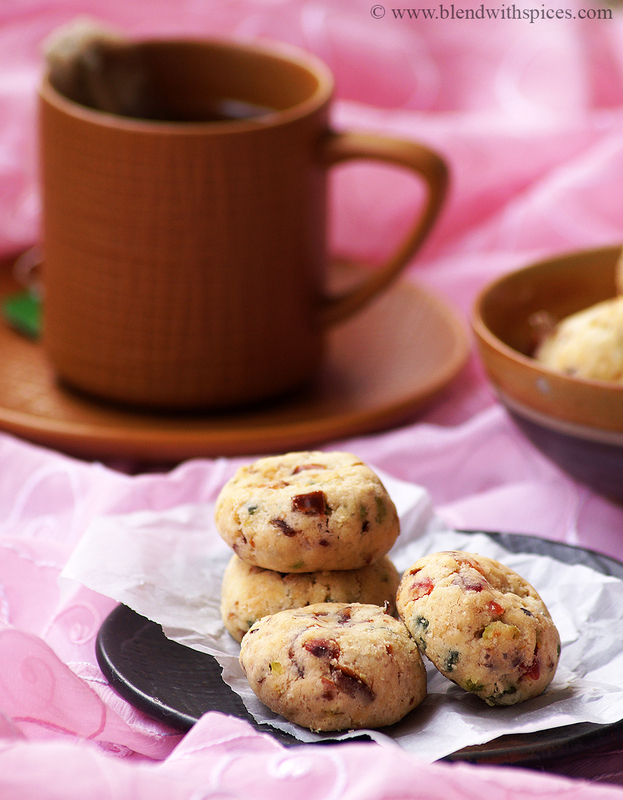 Rich, fruity, nutty and delicious eggless cookies for Christmas. Preheat oven to 180 degrees C. Line the baking tray with parchment paper and set aside. 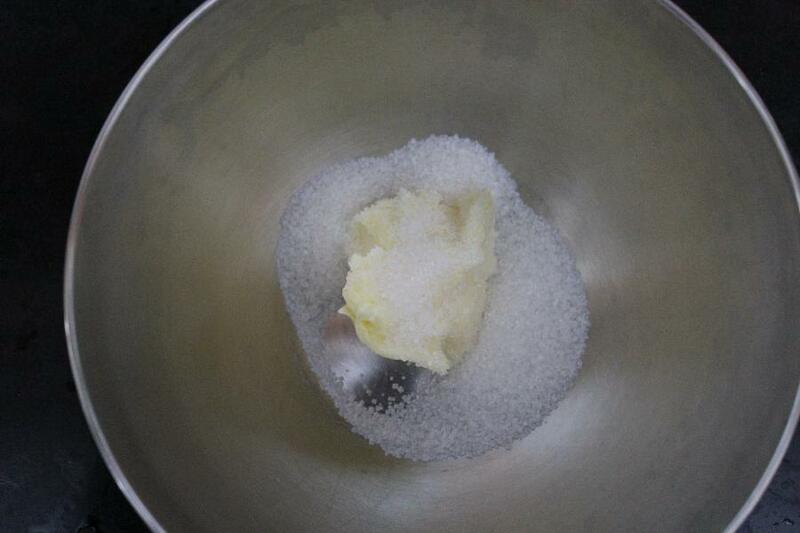 Combine the butter and sugar in a mixing bowl and whisk until light and fluffy. Add vanilla essence and sal to it and combine well. 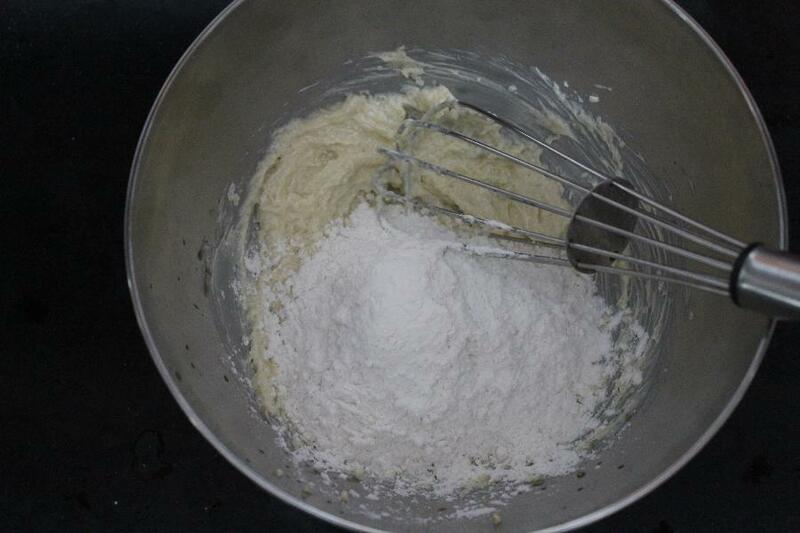 Add flour and baking soda to the butter mixture. Knead it to a soft dough. Sprinkle little milk if needed. 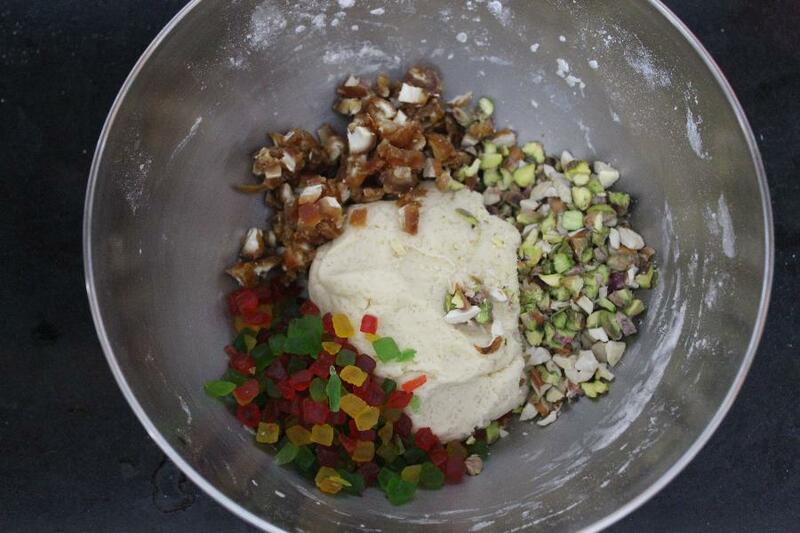 Add the nuts, dates and tutti frutti and mix everything well until combined. 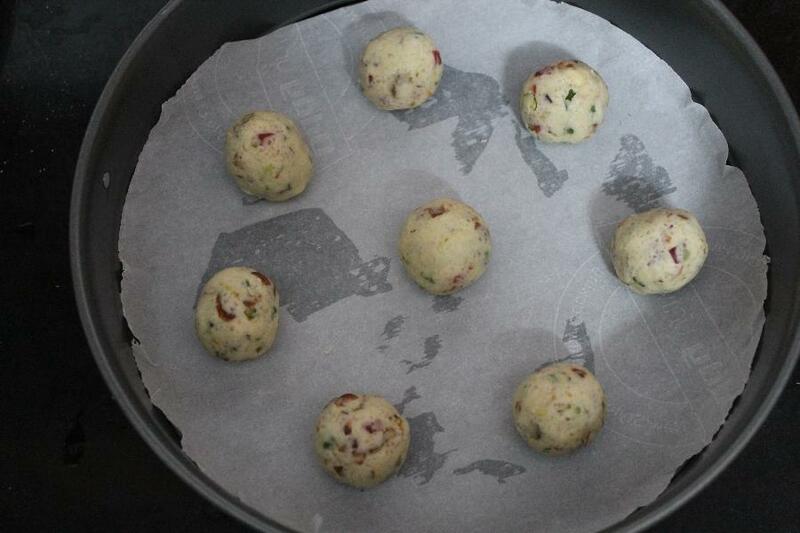 Divide the dough into 12 equal size balls and place them on the prepared baking tray. These cookies won't spread much. Flatten them a little if you want. 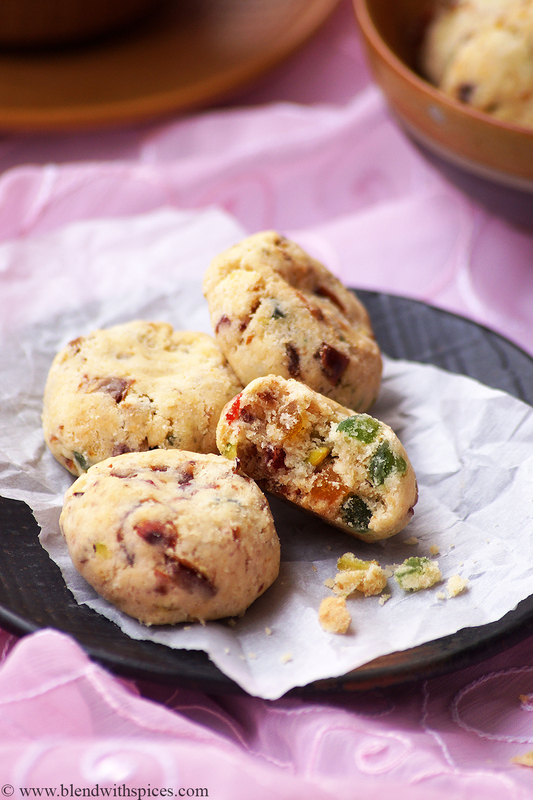 Bake them in the preheated oven at 180 degrees C for about 18-22 minutes or until edges are lightly browned. Remove from the oven and let them cool for a couple of minutes. 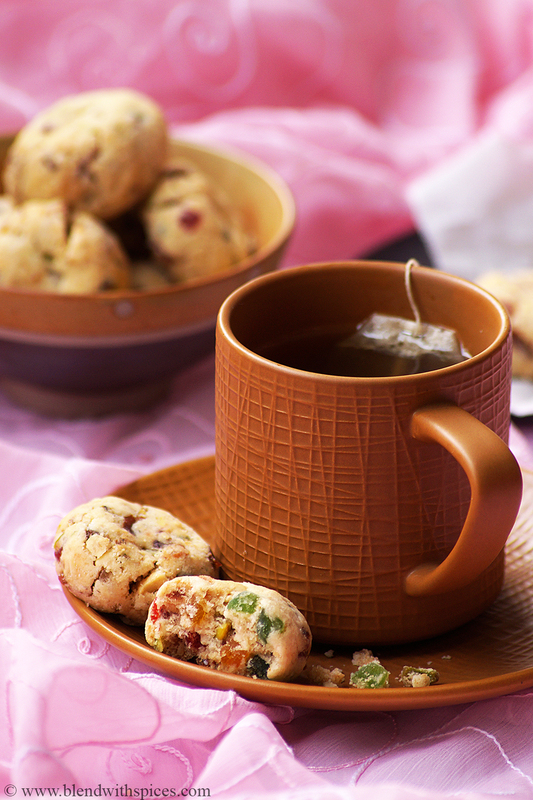 Remove the cookies from the tray and let them cool completely on a wire rack. Take the butter and sugar in a mixing bowl and whisk until creamy, light and fluffy. 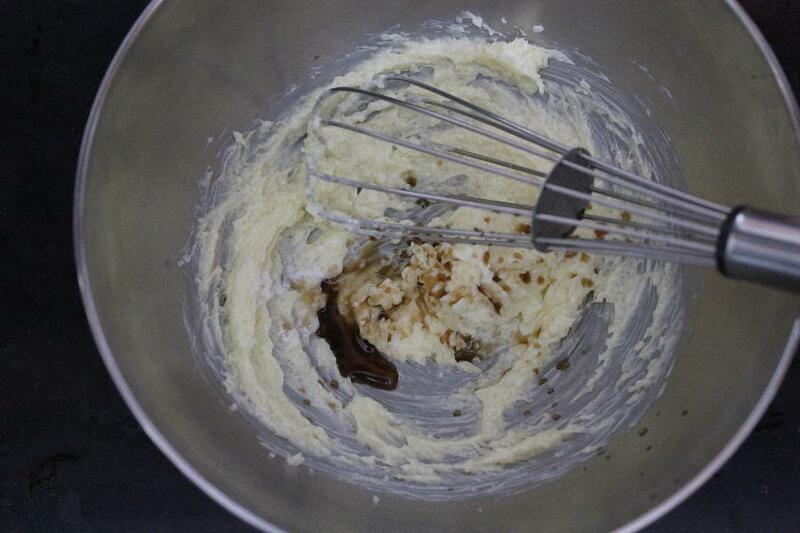 Add vanilla essence and salt to the butter mixture and whisk until well combined. 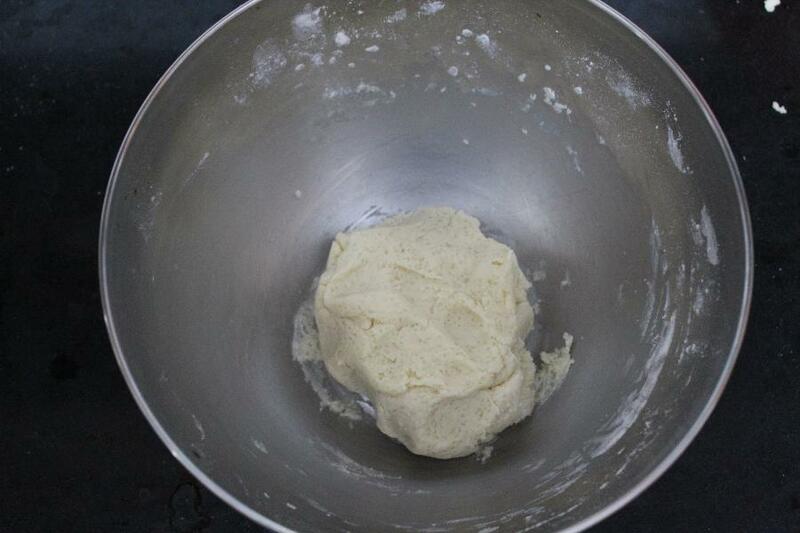 Add the flour and baking soda to the butter mixture and knead it to make a soft dough. Sprinkle 1-2 tablespoons of milk if needed. 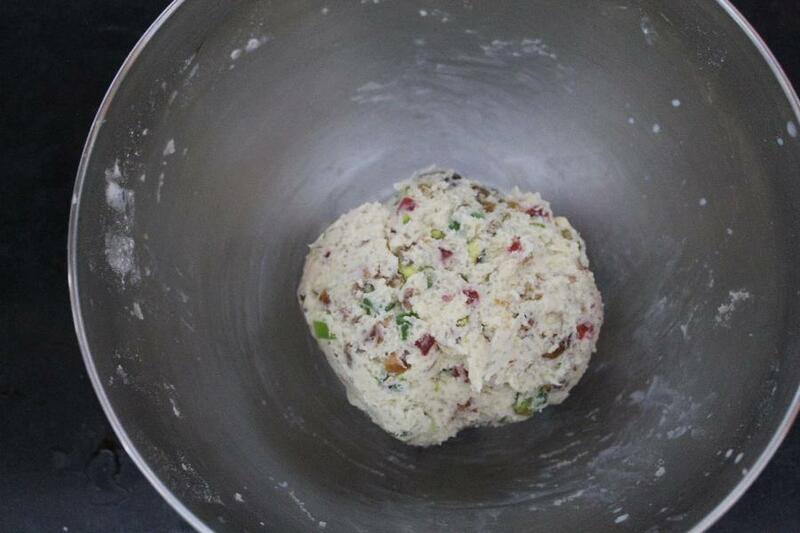 Add finely chopped dates, mixed tutti frutti and chopped nuts to it. I have used almonds, cashews and pistachios here. 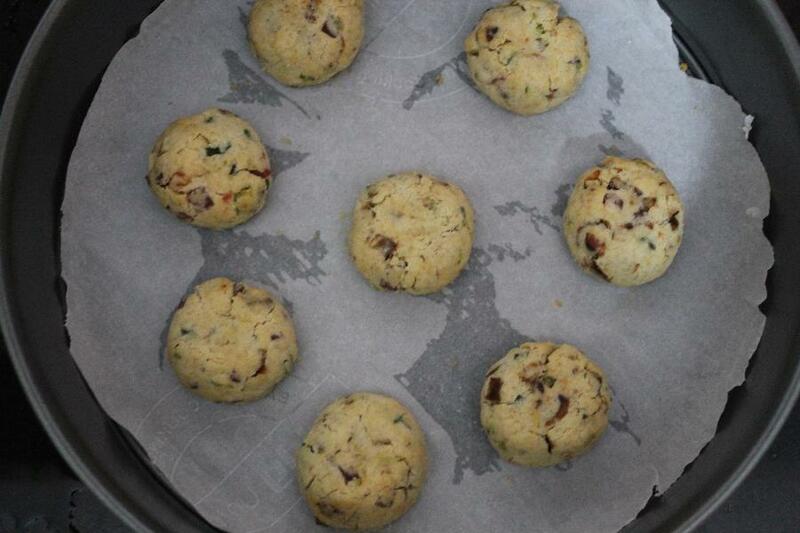 Divide the prepared cookie dough into 12 equal portions and place them on the prepared baking tin or tray. These cookies won’t spread much. So flatten them a bit if needed.